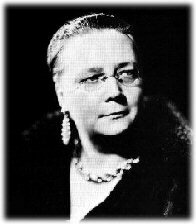 Born in Oxford, Dorothy Sayers graduated from the University there and embarked on a teaching career. In 1923, she published the first of a series of Detective novels which made her, for a time, the most famous mystery writer in England. She was a member of the Oxford-based literary circle knows as the "Inklings," which included C.S. Lewis, Charles Williams, J.R.R. Tolkien, and Owen Barfield. By training and preference, Sayers was a scholar and expert on the Middle Ages. Her translation of Dante's Divine Comedy is one of the finest, with unexcelled notes illuminating the Christian meanings of the poem. The Man Born to Be King (1941) is a series of radio plays on the life of Christ which displays her fine insights and skill as a dramatist. Many of her works, including, The Mind of the Maker and Creed or Chaos are devoted to Christian apologetics, especially concerning the doctrine of the Trinity. A collection of verse, Catholic Tales and Christian Songs is the first of Sayers' works to enter the public domain in the United States. So we are pleased to present it here. We hope to present other Sayers titles as they come into the public domain.